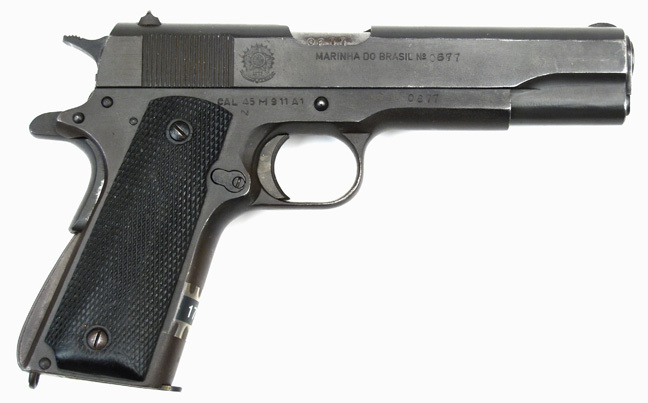 Colt Brazilian Army Contract Government Model Semi-Auto Pistol. Cal. 45. 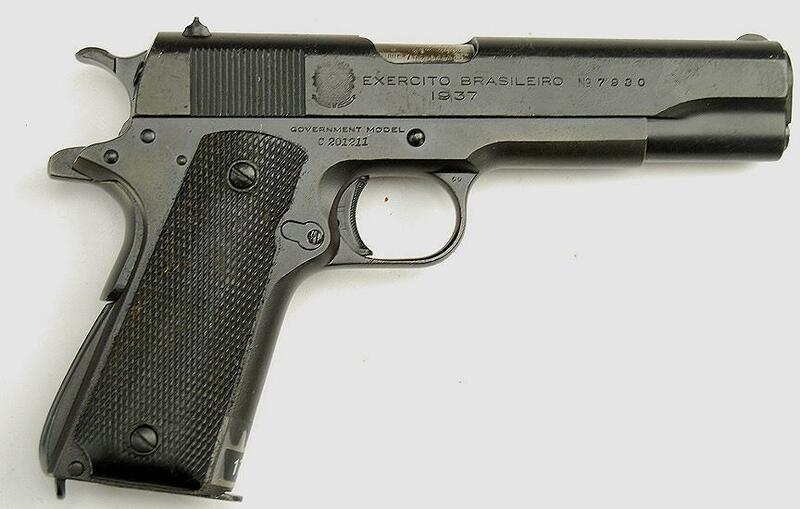 This rare Brazilian Army contract pistol is one of 14,000 guns made for Brazil in 1937. Black plastic grips. 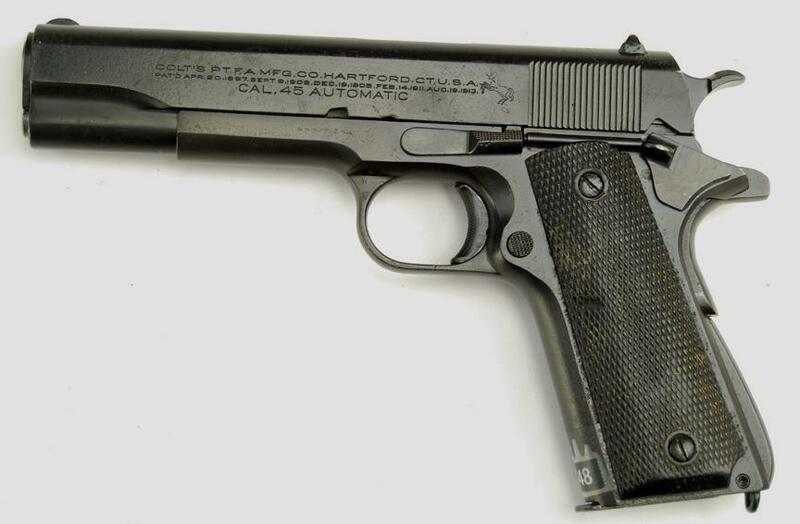 Imbell Model 973 (1911 A1) Semi-Auto Pistol. Cal. 9mm. Black plastic grips show near new with no wear to the grips screws of straps. No import marks are present. 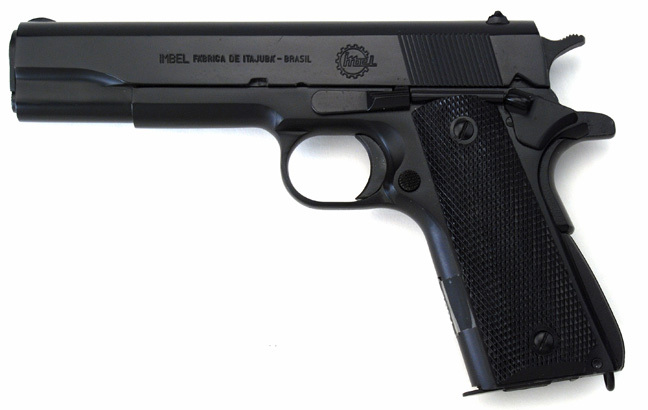 Brazilian Manufacture Model 1911 A1 Semi-Auto Pistol. Cal. 45. Manufactured by Fabrica de Itajuba/Brazil which is their government arsenal.